Dr. O.C. Ferrell and Dr. Linda Ferrell recently led a “Belmont Scholars in Action” convocation conversation about ethics, integrity and leadership in business. 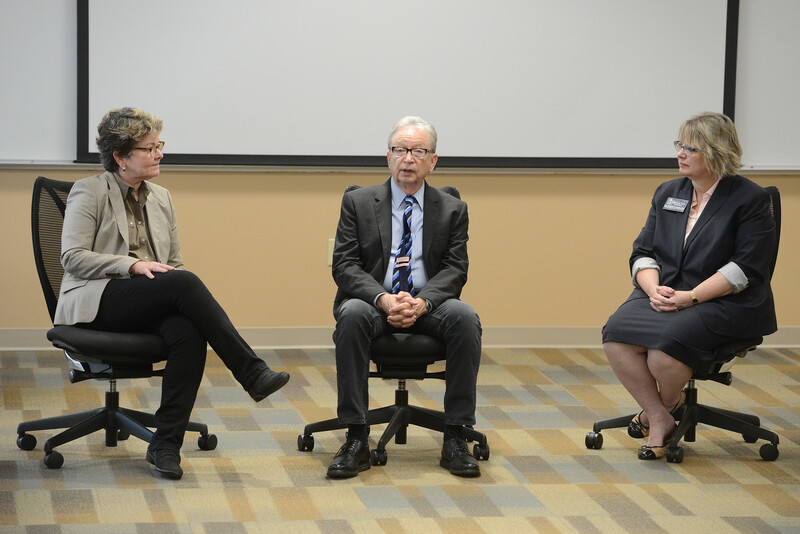 With Associate Provost for Academic Affairs Dr. Beverly Schneller moderating, the couple discussed two of their recent publications, one on gender and pricing and another on the role of the senior financial officer and firm behavior relative to Sarbanes-Oxley Section 406 Code of Ethics. They also spoke to their careers as scholar-teachers and their roles as educators and consultants to national and multinational corporations. The Ferrells, both Distinguished Chairs of Business Ethics, came to Belmont in 2015. Dr. O.C. Ferrell is the co-author of four noted books and numerous articles in marketing, management and ethical decision-making. Dr. Linda Ferrell has co-authored five books in business leadership and numerous articles in marketing science, particularly in the use of case studies as decision-based learning strategies.